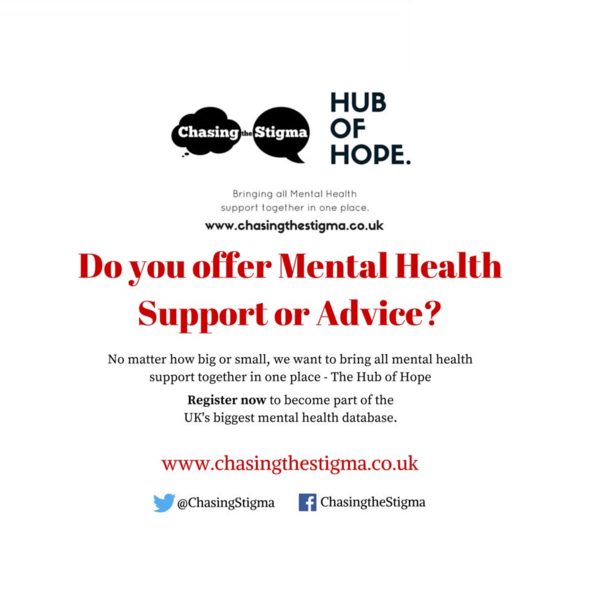 Jake Mills from Chasing the Stigma exclusively revealed details of his groundbreaking project 'Hub of Hope' on this week's Mental Health Monday. Hub of Hope is a website designed for people battling mental health problems to find help on their doorstep by entering their postcode to see the nearest available services. Also, find out about 'Parents in Mind, a local perinatal mental health support service which has just been recently rolled out in Halton.